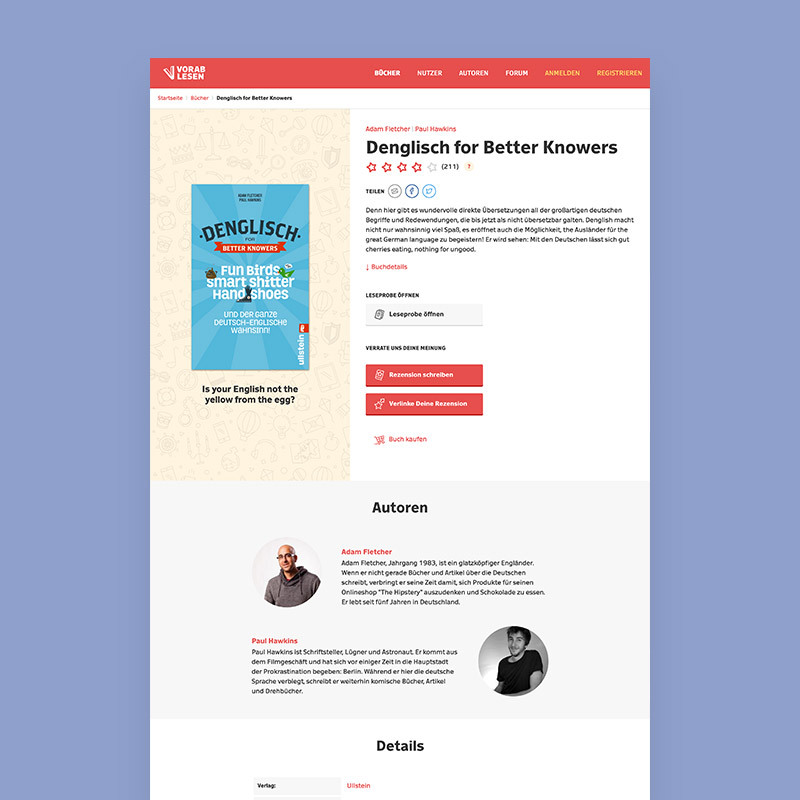 Today we’re launching a project that we had as much fun building as we’ll have using it: Vorablesen, an online book community. It’s a vibrant platform offering book lovers an abundance of activities, like discovering early titles, sharing their opinions on them, and, what I personally find most exciting, giving them the chance to win unreleased titles. Books are raffled every week, while an easy to use points system allows you to claim a book without having to wait and see if you won. Since the beginning of the year we’ve been working together to renew the brand and rebuild—from scratch—the complex platform that powers everything. As always, we approached the project in an agile fashion, scrumming in bi-weekly sprints and deploying the occasional Design Studio from our Lean UX methodologies toolbelt. But more on that in a later blog post. Take a look at the website (in German, for now, but the separate English version will be launched soon) and stand by for our case study!